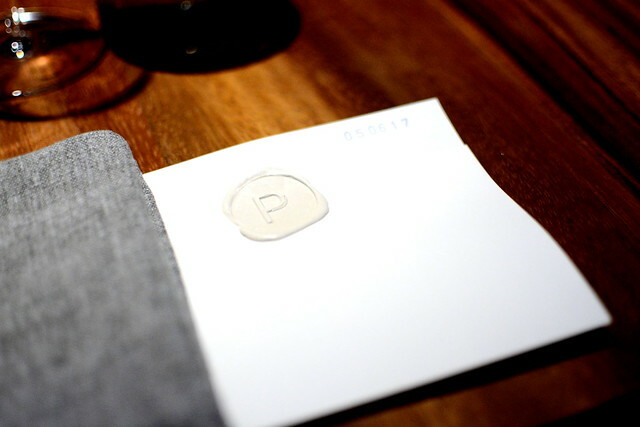 Dining at Chef Enrique Olvera’s award-winning Pujol was an absolute must on our Mexico City weekender. As The Astronomer was booking our airline flights a few months back, I was concurrently reserving a table for dinner on Open Table. I have my priorities straight. The restaurant moved from its original space on Calle Francisco Petrarca to brand new digs in Polanco earlier this year. While I can’t speak to the original location, the new building, complete with an herb garden and mid-century furnishings, is absolutely splendid. We strolled around the grounds in between courses when we were feeling overly stuffed. For $1835 pesos per person (approximately $100 USD), The Astronomer and I were treated to a six-course tasting menu of the Chef’s greatest hits and latest modern Mexican riffs. 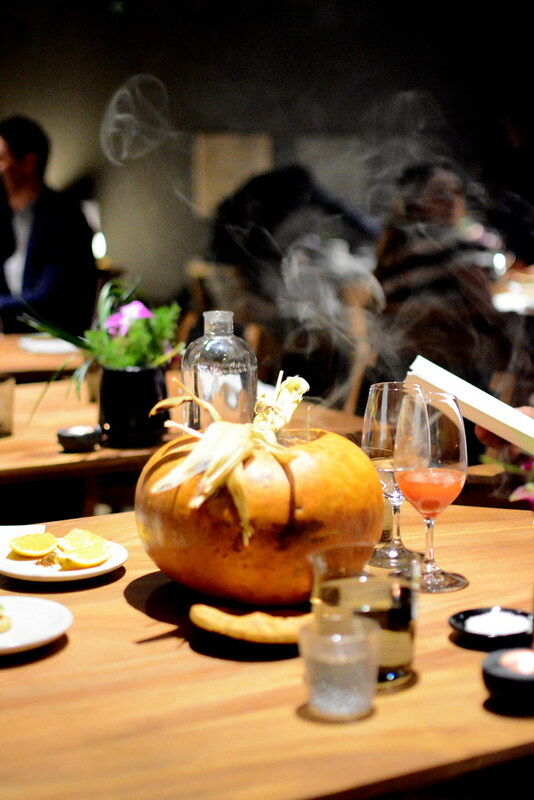 To start, a duo of “Street Snacks” that landed with a smoky flourish on the table. First up was the Chef’s signature take on elotes, Mexican street corn. 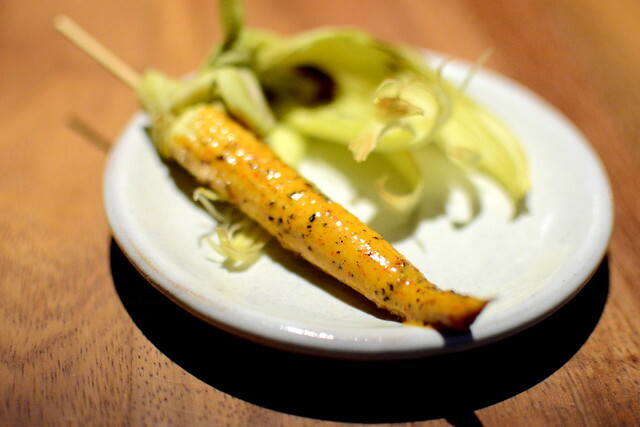 Served in a smoky gourd, the cobs of baby corn were speared with a stick and slathered in an intriguing mixture of chicatana (Oaxacan flying ants), coffee, and costeno chili mayonnaise. The second street snack was a teeny tiny gordita. 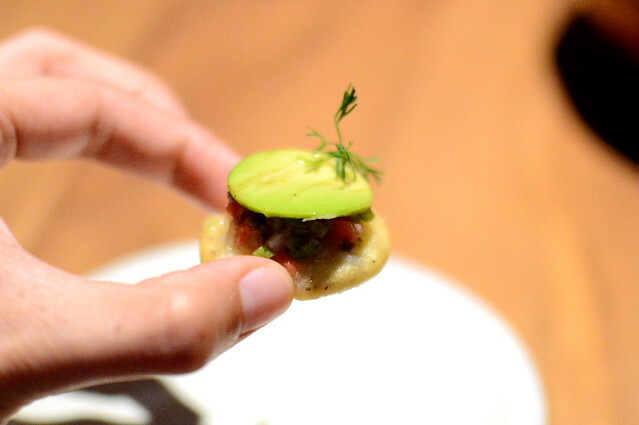 Roughly the size of a silver dollar, the corn cake was layered with beef, tomato, and avocado. Both bites were playful and delicious. 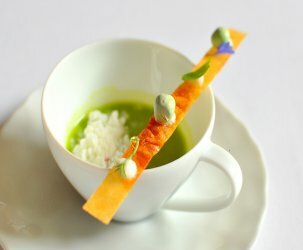 The tasting menu allowed for some personal preferences, which was unexpected but appreciated. We were presented with four different options for the second, third, fourth, and sixth courses. 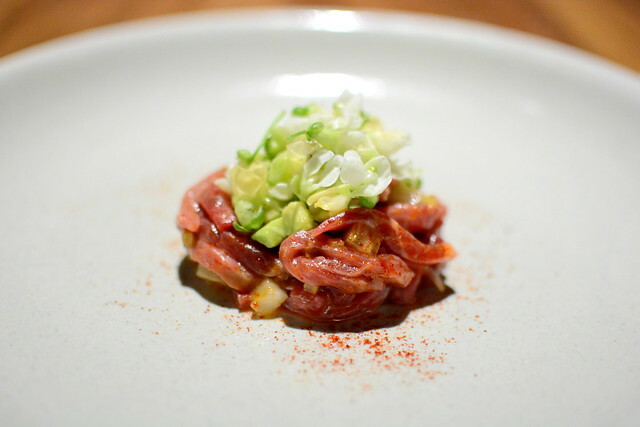 For my second course, I opted for the beef jerky (cecina) tartare with mulato chili and bean blossoms. The spiced-out meat was rich, with a pleasant chew and just enough heat to keep things interesting. 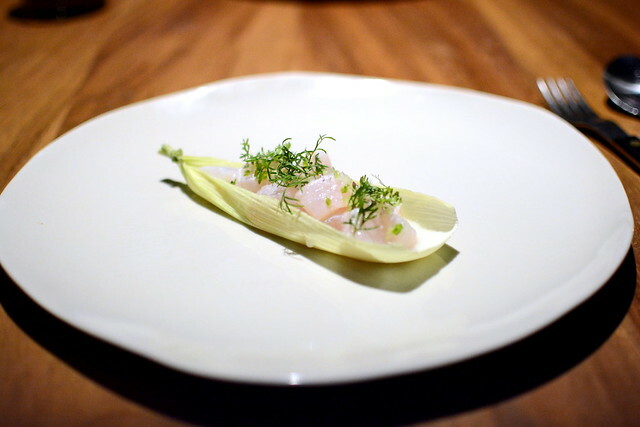 The Astronomer chose the sea bass ceviche, which was served in a cacahuazintle sauce (nixtamalized corn) with lime juice, celery, and coriander. 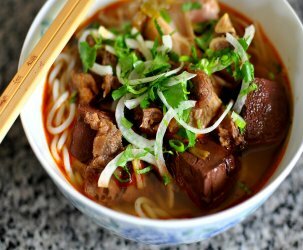 This dish was fresh and simple—just plain good. For my third course: a charred eggplant tamal in a tomatillo and chili de arbol sauce with chard. The tamal‘s unabashedly smoky flavor was definitely a highlight. 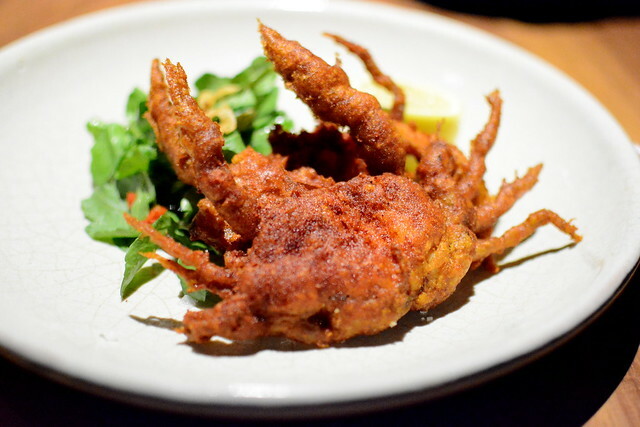 The Astronomer selected the soft shell crab served with an alfalfa salad, Meyer lemon, herbs, and a side of freshly made tortillas. 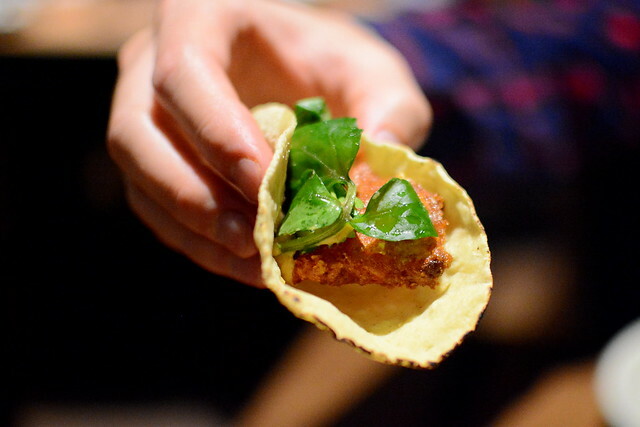 He bundled the greenery and crab in the still-warm tortillas for unbelievable tableside tacos. 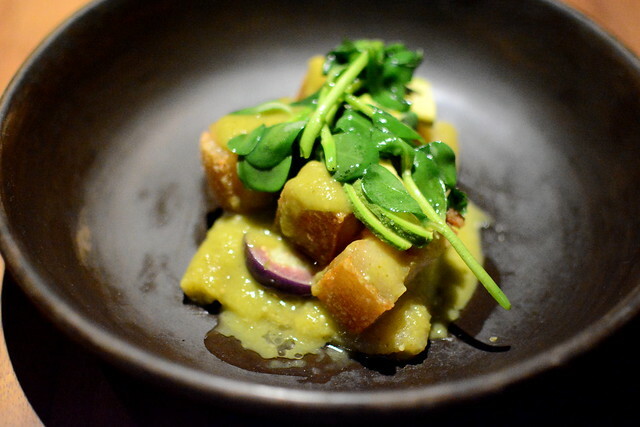 For my fourth course, the meatiest of the bunch, I went with the pork chicharron tenderly stewed in salsa verde with purslane. The hunks of belly and skin had a gelatinous texture that I adored. Hand-made tortillas were also on hand for assembling tacos as I saw fit. 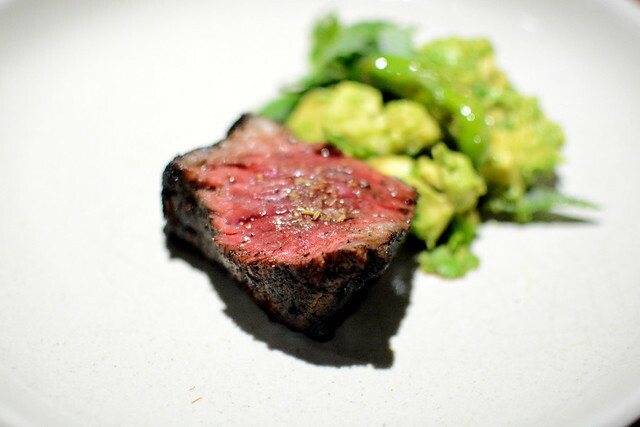 The Astronomer chose the Wagyu steak with fennel seeds and herb guacamole for his main course. The char on the steak made for a beautiful crust and intensified the meat’s already robust flavor. 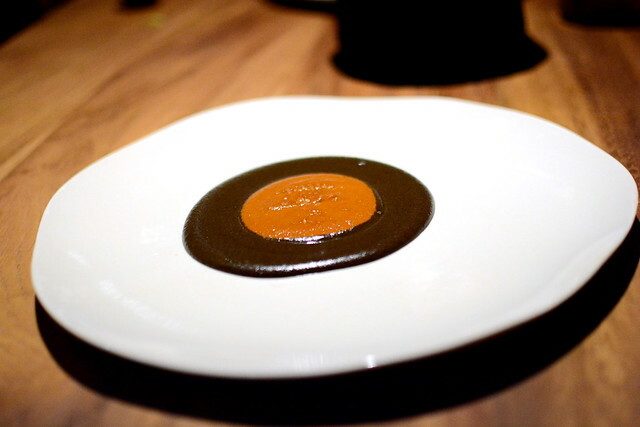 And then came the highly-anticipated mole, the most iconic of Chef Olvera’s dishes. The “Mole Madre,” aged 1,270 days, was deep, dark, and soulful. The “Mole Nuevo” was just as flavorful but with more heat and less heft. 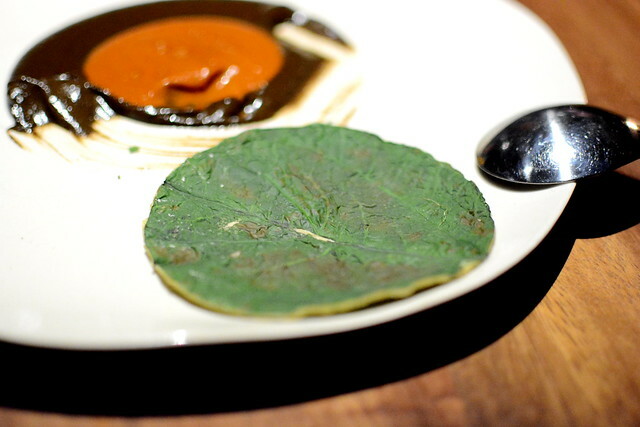 Served on the side were warm corn tortillas layered with an hoja santa leaf. The moles were terrific eaten with the tortilla but even better consumed straight up. This was my favorite course of the night. Due to a reservation snafu on Open Table, we received an extra dessert. The “Felicidades” consisted of raspberry and blueberry meringue with wisps of custardy cream and a whole lot of gold leaf. The first of our two chosen desserts was a chocolate tamal with soursop, guava, and brown butter. 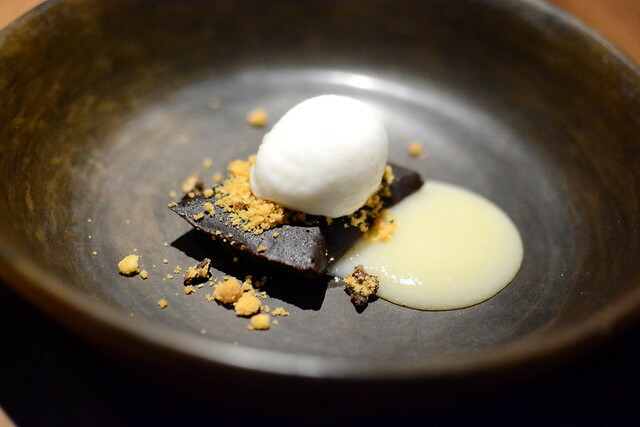 If the desserts here and at Sud 777 are any indication, chocolate tamales are all the rage on the Mexico City fine dining scene. 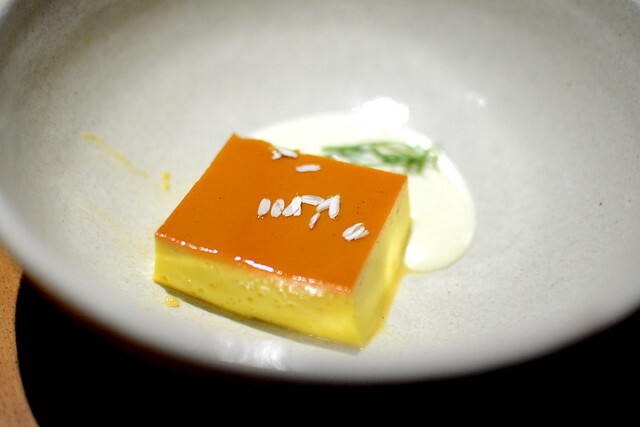 We also shared the vanilla flan with chamomile cream and thyme. 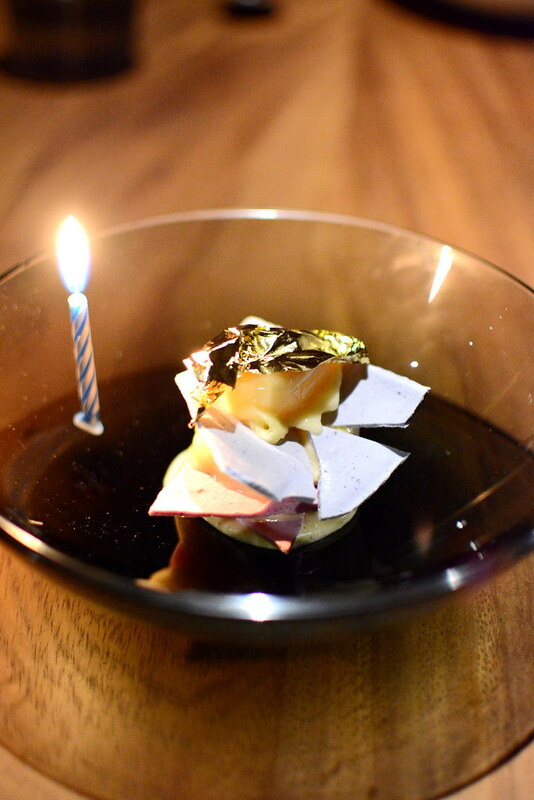 It was luxuriously dense, egg-forward, and just a touch floral. 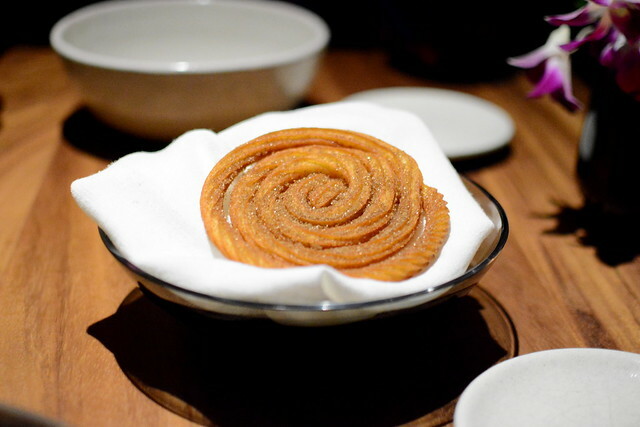 And finally, a most perfect churro coil served warm, crisp, and dusted in cinnamon and sugar. 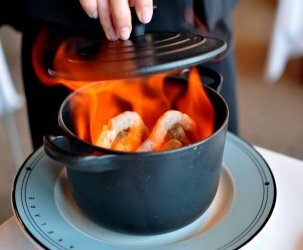 A brilliant finish to a standout meal. 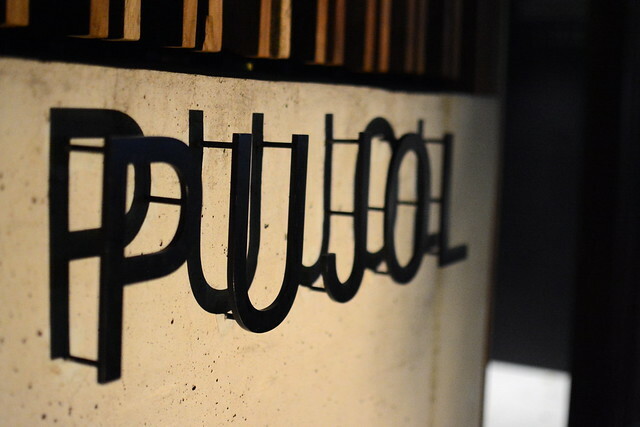 I’ve always wanted to try Pujol if it weren’t for my fear of Mexico City. I’m still recovering from my Man on Fire viewing. 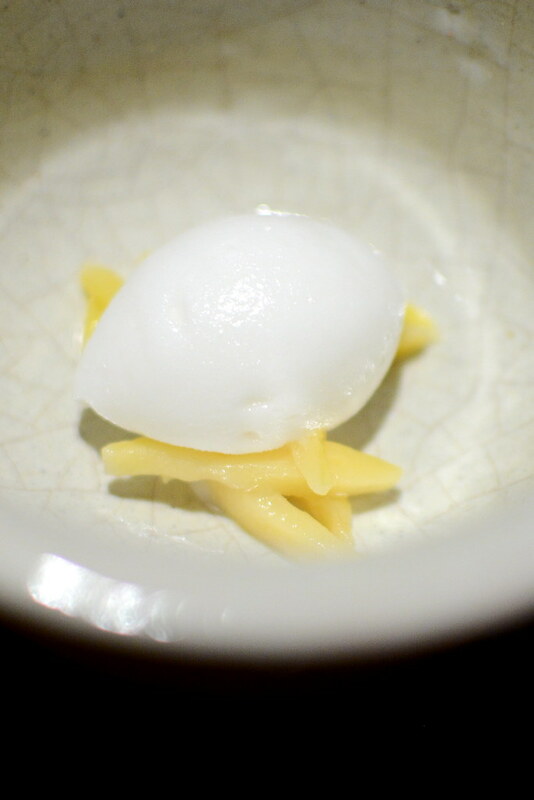 The wagyu looked like a safe choice by the Atronomer, I would have gone with the papadzul egg. Let me know when you or Bill are chaperoning a trip, all the meals looked awesome. So what was the Open Table snafu? How do they age the mole 3 years? Waleed – The restaurant overbooked on Friday night and had to move our reservation to Saturday night, which was bummer because we had planned on dining at Quintonil that evening. Next time, I guess! 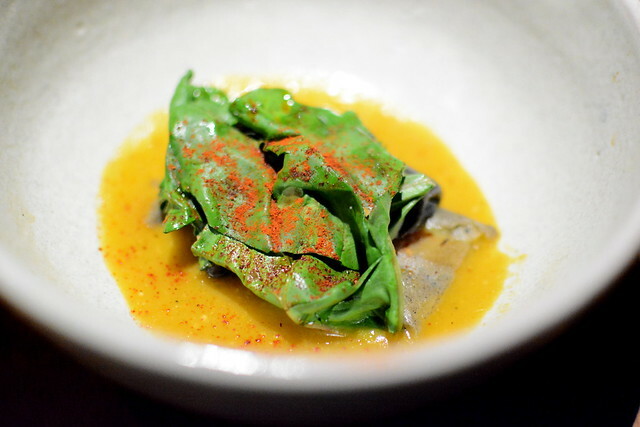 And you must read about the magic of Pujol’s mole here (NY Times).